Colite has called Columbia, South Carolina home for almost 70 years now. In that time, we’ve grown right alongside our beloved city and watched it flourish just as we have. Like Columbia, we’ve relied on hard work and dedication to achieve great things. In that spirit, it’s no surprise that we take our Labor Day BBQ celebrations rather seriously. After all, it’s because of our skilled team and their labor of love that we’ve been able to develop our glowing reputation – operating globally as one of the world’s premier signage manufacturers. However, this year’s annual Labor Day BBQ took on a different tone. It was roughly one year ago that Columbia was hit with what would be labeled a “1000-year flood” – bringing devastation to our area like nobody had ever seen. Lakes and rivers were overflowing, dams were breaking, and it felt like it would rain forever. As swaths of our city remained under water for days, we looked for help. Friends, families, and neighbors had lost entire homes. Lives had been irrevocably disrupted. As Columbia sat under several feet of water, the University of South Carolina would also be forced to adapt. With a home football game scheduled against LSU, plans shifted and the game was relocated to Baton Rouge. Having been through the heartache of Hurricane Katrina, the people of Louisiana were especially sensitive to our situation. Their support was immediate and overwhelming. Help in the form of supplies, food, water and other necessities arrived by the truckload. It was the kind of thing that truly restores ones’ faith in humanity. Once again, Louisiana is coping with a devastating natural disaster. Without warning, catastrophic flooding has wiped out entire parishes and the scenes of damage are all too familiar for those who’ve already been through it before. Again, they need help – just as we did. 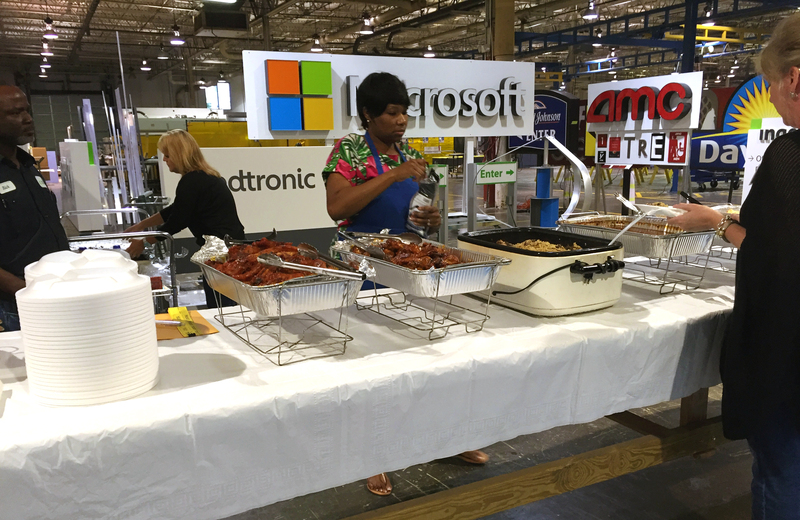 With employees, partners, and special guests gathered at Colite HQ for our annual Labor Day celebration, there was a sense that we could do more to help the people of Louisiana. So we reached out to the American Red Cross. According to representatives from the Red Cross, the damage in Louisiana is unimaginable when compared to that of South Carolina. In the five months following the S.C. flooding, the Red Cross served over 154,000 meals to those in need. By comparison, the Red Cross has served the people of Louisiana more than 405,000 meals in just 11 days. With those alarming statistics, we worked to raise $3,125 over the course of the day – and will continue to support the American Red Cross in their critical efforts around the globe. 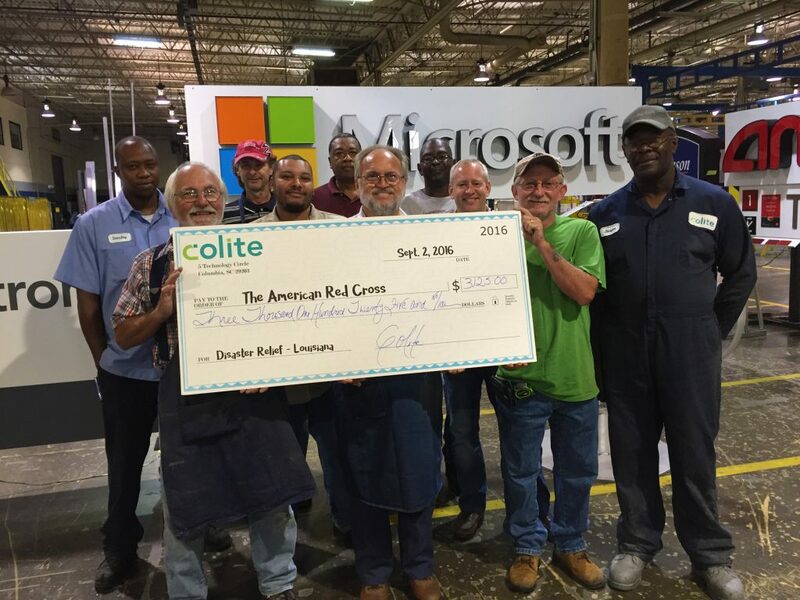 Colite and its employees encourage you to please consider making a donation to the American Red Cross in an effort to help those in need, around the world, each and every day.